Galaxy Note5: How is the S-pen set-up in the Settings? 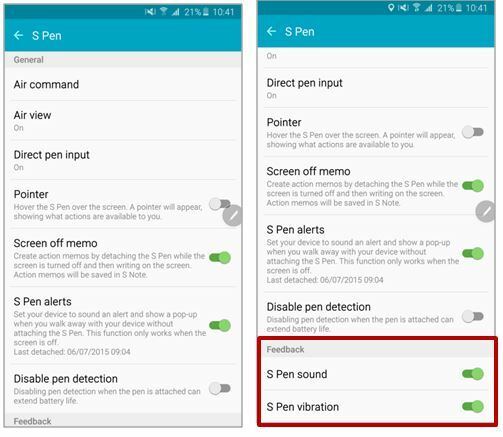 There are new features with regard to the S-pen of the Galaxy Note 5. Some features are also simplified compared to it's predecessors.